The Cayman Islands has plenty of reasons for Canadians to visit during the summer, not the least of which is savings of up to 30% on accommodations and attractions. Travellers booking a Summer Only in Cayman vacation by June 30 for travel between May 1 and Dec. 15 will receive limited-time offers on accommodations, attractions, watersports, dining and more. 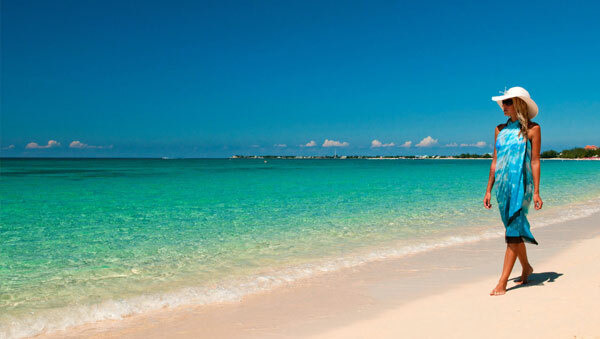 Air Canada offers convenient access to Grand Cayman with non-stop flights from Toronto, as well as easy connections through Toronto from seven Canadian gateways. The following are properties are taking part in the summer campaign: Grand Cayman Marriott Beach Resort, Wyndham Reef Resort Grand Cayman, Westin Grand Cayman Seven Mile Beach Resort and Spa, The Ritz-Carlton, Grand Cayman, Sunshine Suites Resort, Sunset Cove Treasure Island Condos, The Avalon Condominiums, Colonial Club, The Heritage Club, Luxury Cayman Villas and Margaritaville Beach Resort Grand Cayman. Attractions include: Cayman Spirits Co. and Cayman Islands National Museum.